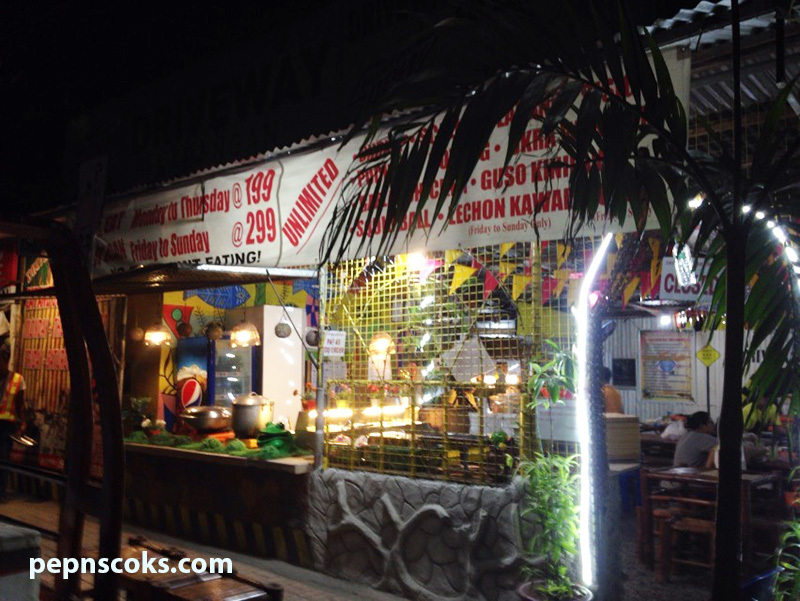 Hello guys, here we are again today looking for not so expensive unlimited sea foods and we’ve landed here in Driveway Larangan and Seafoods which is just nearby to where we’re staying. It is located in V Rama, just few meters away from South Bus terminal and Fuente Osmena Circle ( green one in the map below). If you are traversing V. Rama avenue either from South National Road or from Fuente Osmena, Driveway Larangan and Seafoods can easily be spotted. It is a small store with white color outside, when you go inside, there’s their yellow color signage located. Maybe they’re not putting it outside so to have wider view of outside when you’re already inside and air can just pass through in. The place is not big, but can accommodate 50 – 70 people at a time, otherwise you’ll have to wait. This is the signage visibly as you enter the place. 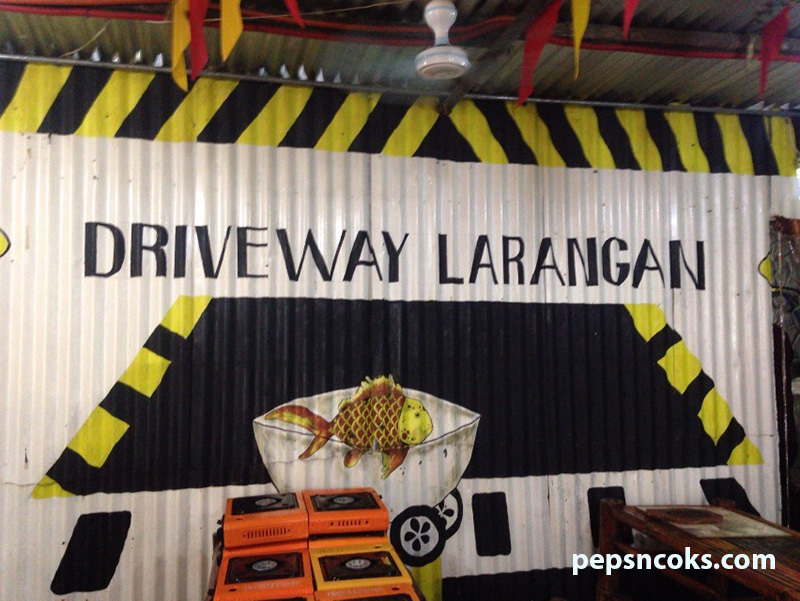 What’s good with Driveway Larangan is that there are handful of food variants to choose from like tsoriso, sisig, pochero, larang, hotdog, chicken, gulay and more aside from main course which include shrimp, scallops and crabs! It is we’ll lighted with eye catching colors of decorations on the ceiling. Their food stands are well arrange and stored by sections, so you could easily go where to look for specific food groups. It’s conducive from table to table and where the foods are located. Note that weekends price cost more bucks than weekdays. Open Monday to Thursday @ 199, Friday to Sunday @ 299 from 10AM to 2PM (lunchtime) and 5PM to 10PM (dinner time). Driveway Larangan facebook page here. 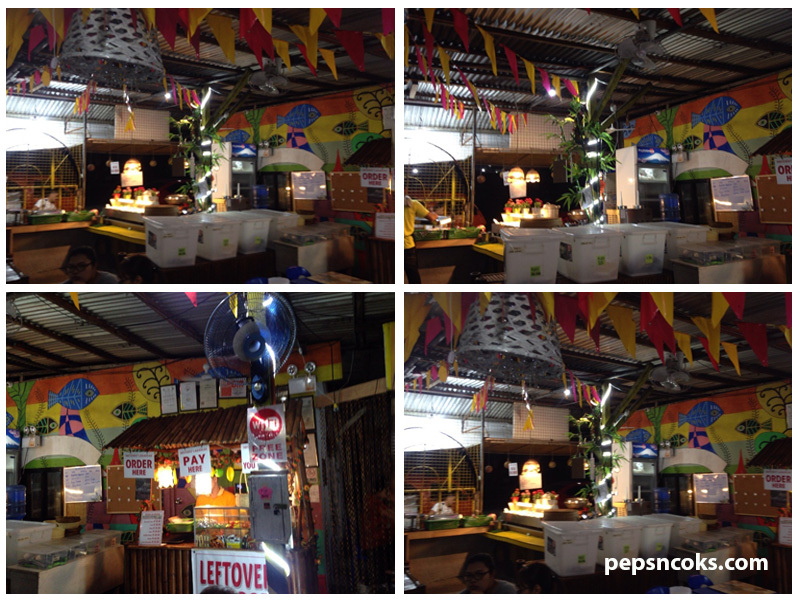 You can visit their page for promo’s on special occasions and events.